While I admire Goldieblox’s mission, watching that commercial made me wonder if an ad featuring young boys pretending to nurture a doll or stuffed animal would be met with such acclaim. Picture it for a moment, a commercial with a toddler cradling his dolly while pretending to feed her, or one with a seven-year-old nursing his “sick” toy puppy back to health. We all know boys do play like this sometimes, but in my lifetime I can’t recall a single toy company promoting nurturing behavior to boys. The idea that a boy could grow up to become the primary caretaker of his children is still so strange that a photo of a father fixing his daughter’s hair elicited such a negative response from men (and women) whose views on masculinity and fatherhood are founded in resentment and hostility. Do I think we should force boys to play with dolls, no. But, I we need to stop labeling such behavior as “unmanly,” and let them explore their nurturing side. As a woman, I am offended that acts of kindness and caring, most often associated with “girl” toys are seen as weak. Yes, it is wonderful that girls are taught to be critical thinkers, but even if there are fewer female engineers and researchers, they are admired. Whereas, the same admiration is rarely afforded to male nurses or nannies. Maybe one day when a boy asks for a doll, his parents won’t have to feel embarrassed looking in the “girlie” aisle and instead can find something nestled between the toy guns and building sets. 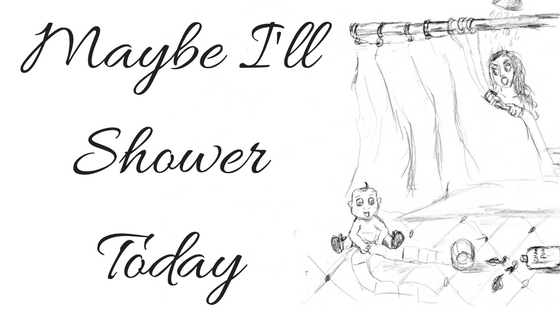 Reblogged this on Maybe I'll Shower Today.